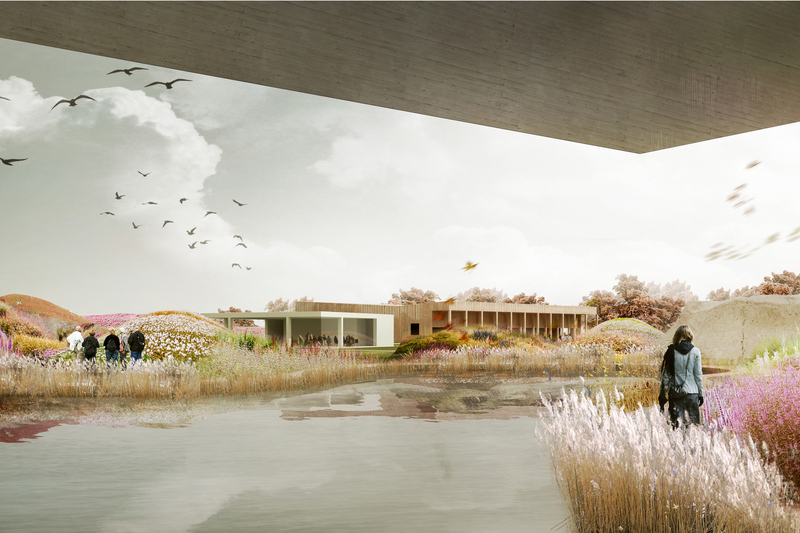 The site of the new crematorium is located within a master plan that connects the coastline with the green belt surrounding the city of Oostende. 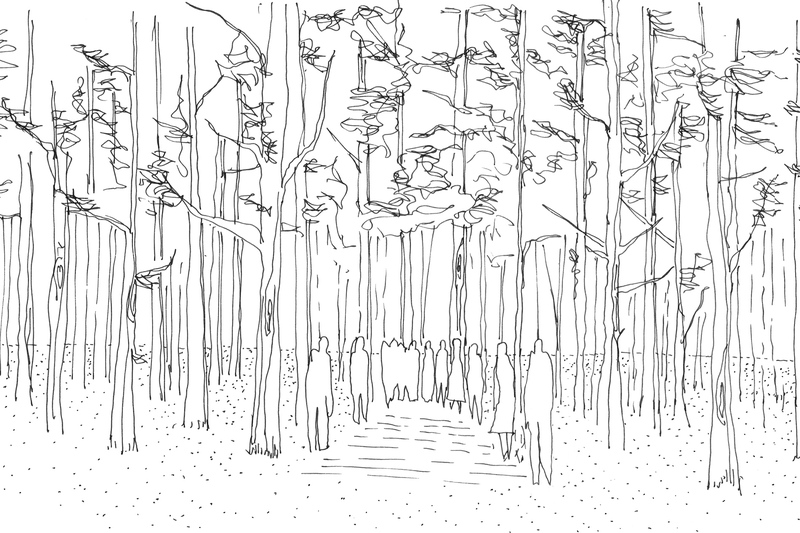 In the direct surroundings of the site a new forest will be planted. 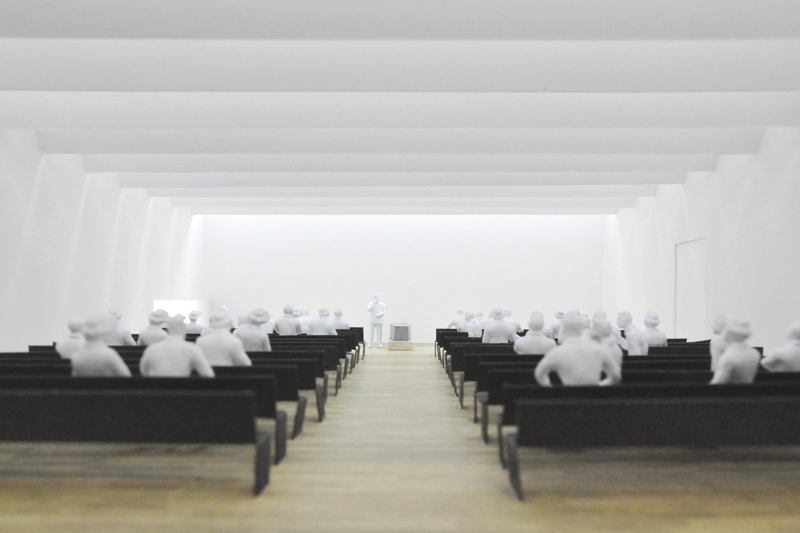 The new crematorium is proposed as a house in a garden in that forest. The existing topography of a former brick factory defines a square-shaped open room with small hills, clay and remaining raw materials. This topography provides intimacy for the crematorium and disconnects it from the main access road. 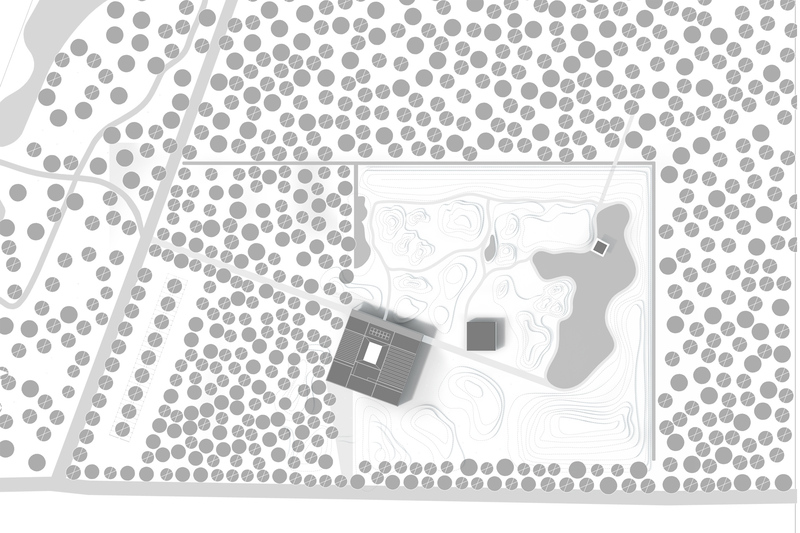 The garden of the crematorium with the urn field and columbarium in it, takes the “terrain vague” of the former factory as a starting point. 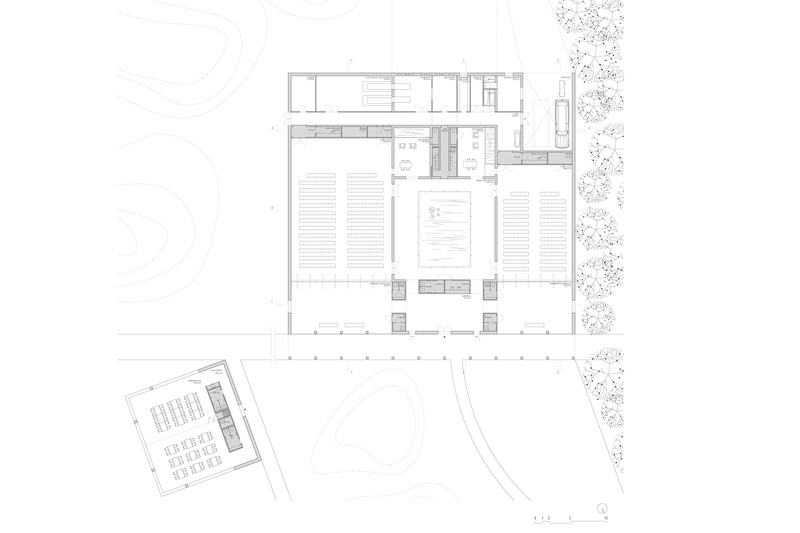 The crematorium is located exactly on the border between the forest and the garden and is therefore an important link in the landscape scenery. 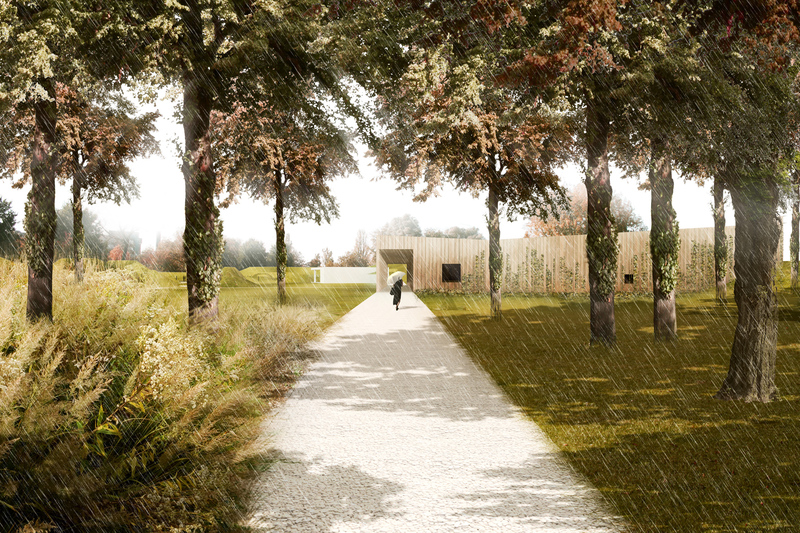 Visitors enter from the dense green forest through the colonnade of the crematorium into the open garden. 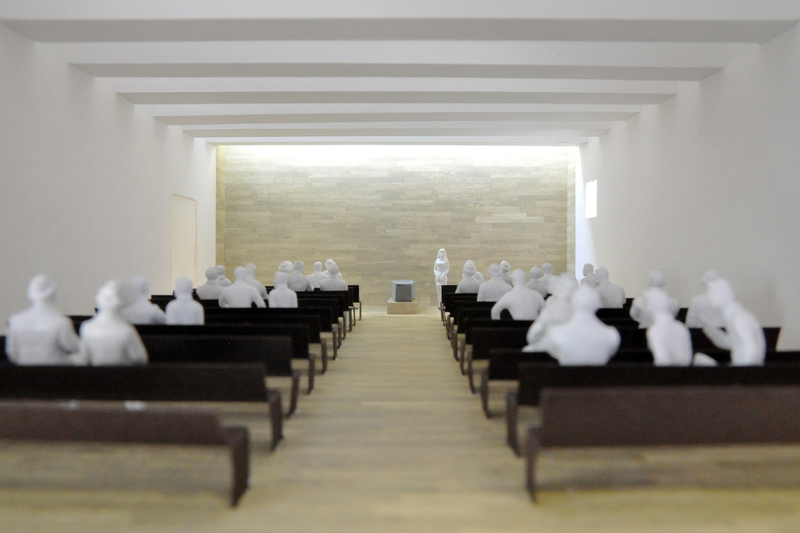 The crematorium is conceived as a series of rooms with their own materialization, proportions and use of natural light. 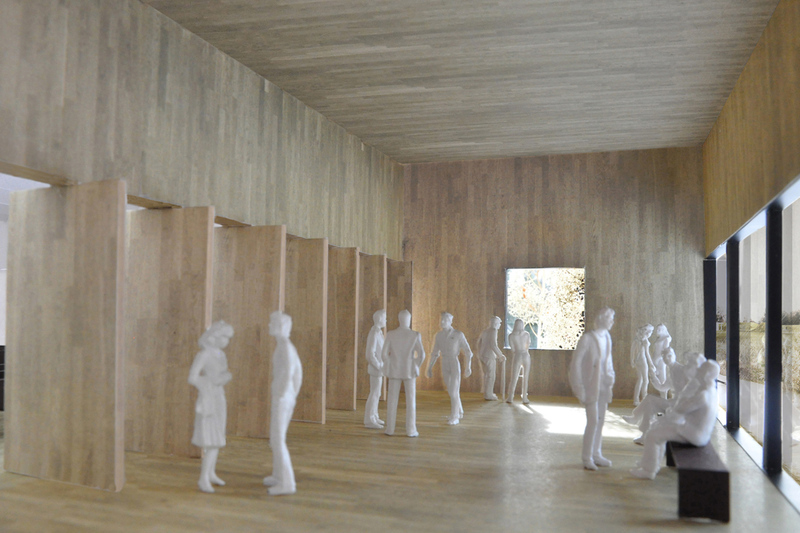 Each phase of the farewell ceremony is dedicated to a different room and will therefore get their own spatial experience and remembrance.